NEW YORK, N.Y., March 17, 2014 (SEND2PRESS NEWSWIRE) — EaseUS Software, an innovative software developer, known internationally for its full-featured solutions, always keeps providing cost-effective solutions for data backup, disaster recovery and storage management since its inception. This time, EaseUS brings a professional system deploy tool which is needed urgently. 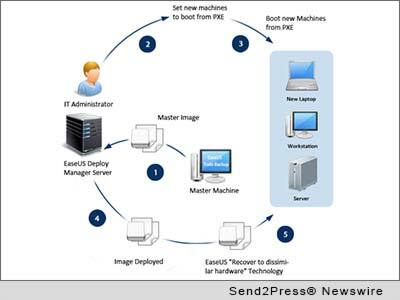 EaseUS Deploy Manager provides a powerful solution for system deployment on laptops, desktops and servers quickly and easily. IT administrators in a school, private business or government agency might always have been troubled by setting up systems to large numbers of new machines. 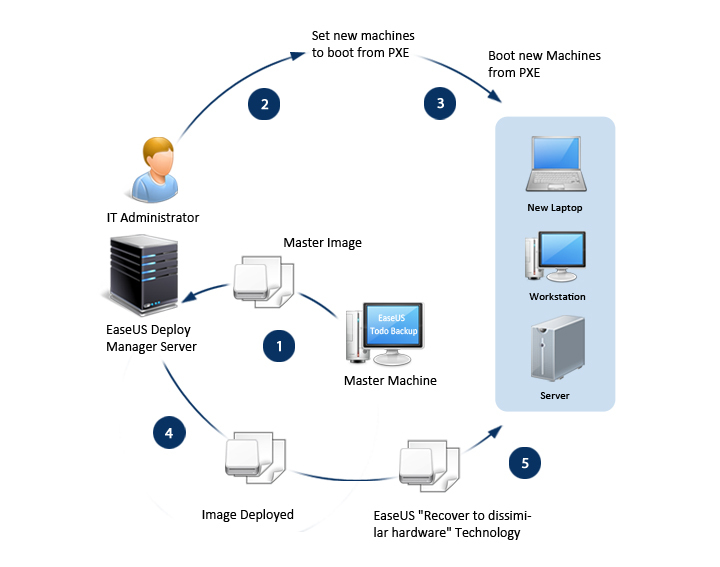 EaseUS Deploy Manager is an ideal solution for setting up new PCs, workstations and servers or returning them to a desired state, with the features below. * Time and cost saving maximization – deploy a master image to multiple PCs/Servers across network simultaneously while significantly cutting down costs. * Efficient rescue solution – efficient recovery tool to get system back on track in most emergency cases. * Group management – deploy several groups of machines with different system images or settings. EaseUS offers all-around protection of the computers as usual. EaseUS Todo Backup will help to back up system and data after finish of system deployment, which supports system backup and recovery, file/disk/partition backup and recovery, Outlook backup and recovery, incremental/differential/schedule backup, and much more. Choose the backup and recovery solution for your business: http://www.todo-backup.com/purchase/make-own-solution.htm. EaseUS provides professional IT solutions for home, education and SMB users, service providers in data recovery, backup, system optimization and partition manager on both Windows and Mac platforms. For more information, please visit http://www.easeus.com/. Original Keywords: EaseUS Software, EaseUS Deploy Manager, Windows OS Migration EaseUS Software New York New York NEW YORK, N.Y.
REFERENCES: New York Business News, EaseUS Software, EaseUS Deploy Manager, Windows OS Migration EaseUS Software New York New York NEW YORK, N.Y.